Most are free, and some are available in paid and free versions. The geographic scope of the app—global or USA—is listed next to the name. The links will take you to the app’s page in the Google Play store. Enjoy! Disaster Alert features current global disaster and active hazard info on an interactive map or list. 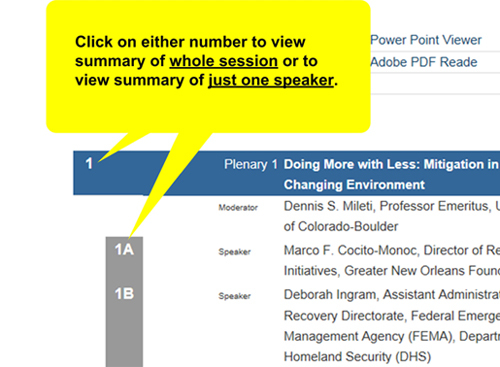 Users can also share or add information on current situations. This app includes alerts and details about disasters around the world. Select an event and you can see its location, damage caused, severity, and impact radius on a world map. Tap one, and you see more detailed information, as well as quick links to share the news on social networks. Detailed information about storms around your location. StormEye tells you important information such as the storm’s location relative to your location, where the storm is heading, the storm’s intensity, hail probabilities, and maximum hail size. Monitors the National Oceanic and Atmospheric Administration (NOAA) active weather alerts for advisories, watches, and warnings for your location. When an alert is detected for your current location or any of your static location entries, an appropriate audible, sensory (vibrate), and visual alert will be generated depending on the severity of the NOAA alert type (Advisory, Watch, or Warning). Focused entirely on bringing earthquake related news and summaries to your Android device, Earthquake Alert displays details from the U.S. Geological Service, as well as alerting users to new earthquakes as they’re reported. 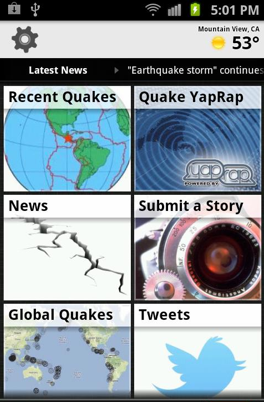 Earthquake News is an up-to-the-minute source for all earthquake-related activity in the world. Another earthquake app, Latest Quakes allows users to filter by magnitude, date, and distance from location. It also displays full details, including magnitude, date, time, location, depth and shaking intensity. Hurricane Hound provides tracking of current storms on a Google Maps background. It displays tracks and forecasts of active hurricanes or tropical storms, as well as highlighting areas of possible storm development. Storm Shield turns your smartphone into an emergency weather radio. Get storm-based alerts for tornado, hurricane, flood, thunderstorm and other life-threatening weather events via voice and push notification. This app from the American Red Cross provides information about active wildfires in the US, as well as areas that are under official fire warnings. You can let others know you are OK with an “I’m Safe” alert. Get real time alerts for tsunami warnings, watches, and advisories. With real-time data from NOAA’s Tsunami Warning Centers, the app sends alerts for the US, Canada, and all countries along the Pacific Ocean, India Ocean, and Caribbean Sea. With this app’s Outbreaks Near Me application, you have all of HealthMap’s latest real-time disease outbreak information at your fingertips. Open the app and see all current outbreaks, search and browse outbreak reports on the interactive map, and set the app to alert you with a notice when an outbreak is occurring in your area. The CDC mobile application is a way for users to access health information at their fingertips. It features important health articles, disease of the week feature, popular journals, timely updates and access to social media to coincide with important health concerns and events throughout the year. This app helps users to identify hazardous materials. Features include searches by UN number, Emergency Response Intervention Cards, hazard ID numbers, Hazchem Emergency Action Codes, Packaging Groups, Transport category, Tunnel codes and labeling summaries. This pocket reference is used by more than 150,000 public safety and health professionals. The content is all-hazards, non-jurisdictional and discipline-specific, and includes responsibilities and rules for applying the Incident Command System (ICS).